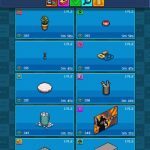 PewDiePie’s Tuber Simulator appears to be a bigger Android and iOS hit than its predecessor, Legend of the Brofist. And Outerminds has indeed come up with quite an interesting and engaging follow-up with its simulator for wannabe “Tubers.” As you may know, PewDiePie is one of the more popular YouTubers out there, and this game allows you to “create” videos and make a series of upgrades that would allow you to gain more followers and more subscribers, and rival PewDiePie in terms of popularity. Well, maybe not in the real world as you need lots of time and quality content to make it big in YouTube, but in this game, you can play it and become a big-time YouTuber like PDP himself. How does this game work in terms of views and subscribers? As we explained in our previous strategy guides, views are your common currency, while subscribers can also be considered a form of currency, as they let you unlock upgrades that were previously unavailable, upgrades that could boost your virtual channel’s popularity. 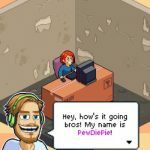 So if you want to gain more views and subscribers, and gain a ton of each of them, read on, as our latest PewDiePie’s Tuber Simulator strategy guide talks about the ways you can earn more of both. We’d like to preface this tip by warning you that you’ll never know when Outerminds would take away this cheat, but for the meantime, it’s still available, and you can still give it a try on our Android or iOS device. Since videos, which are your main source of views and subscribers, could take some time to be finished, you can go to your device’s settings, then set your time ahead to match the completion time of the video. You can then return to the game and collect your views and subscribers immediately. Keep on doing this as long as you need more views and subscribers. 2. Which Upgrades Should You Purchase? First of all, why should you purchase the brains upgrades? These upgrades can be used to help increase your views and subscribers, and you should, in particular, upgrade streaming. Doing this earns you a given number of followers per minute, though this works only an hour at a time. More streaming upgrades means more viewers and subscribers per minute, so keep on upgrading this as often as possible. Having enough followers could help you unlock upgrades that will increase the number of followers you get per upgrade purchased. There’s also the Subs+ upgrade, which is available per genre, and the Stream Subs upgrade; these two allow you to earn more subscribers. Once again, we’re going back to the questing feature of PewDiePie’s Tuber Simulator. Quests can earn you Bux (the premium currency) and brains, and can also earn you viewers and followers. Keep on completing as many quests as possible and unlock more quests, though keep in mind that there are some quests that you can unlock through real-life purchases. Fortunately, though, there are quests that are unlockable by watching ad videos, so you can watch those videos in order to get more quests to complete. And aside from watching ads to unlock quests, which in turn give you views and followers once completed, you can watch booster ads, which pop up once per hour. You can upgrade each of the individual genres by buying specific items and furniture. Doing both of these things will allow you to get more viewers, and also get more subscribers. But the important thing here is that you will earn both of these faster, as buying items per genre would reduce the time it takes for these videos to complete. Also, as a bonus tip, work on creating videos for the selected trending topics of the day, as that’s going to apply a 50 percent multiplier to the genre the videos belong to. Follow all of these, and, you’ll see your subscriber count multiply exponentially. And this ends our guide for getting more subscribers and viewers in PewDiePie’s Tuber Simulator. 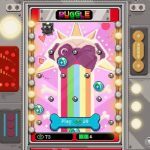 Know more tips and tricks for the game? Leave us a message in the comment section!